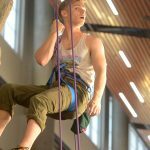 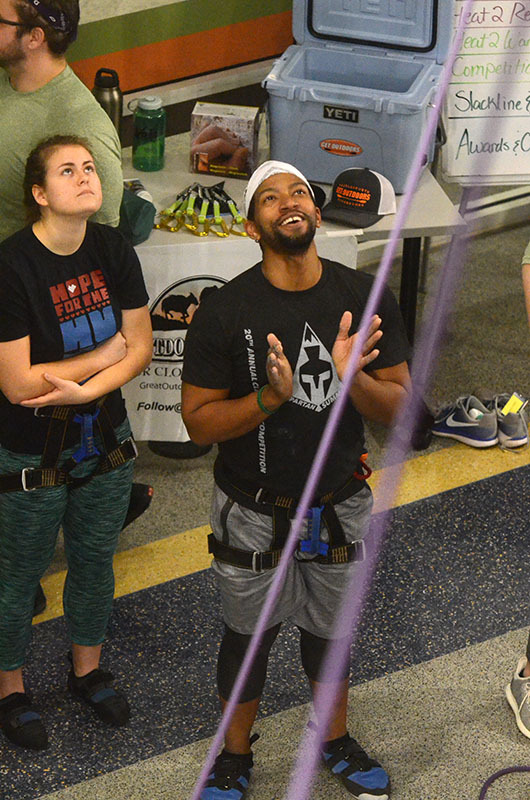 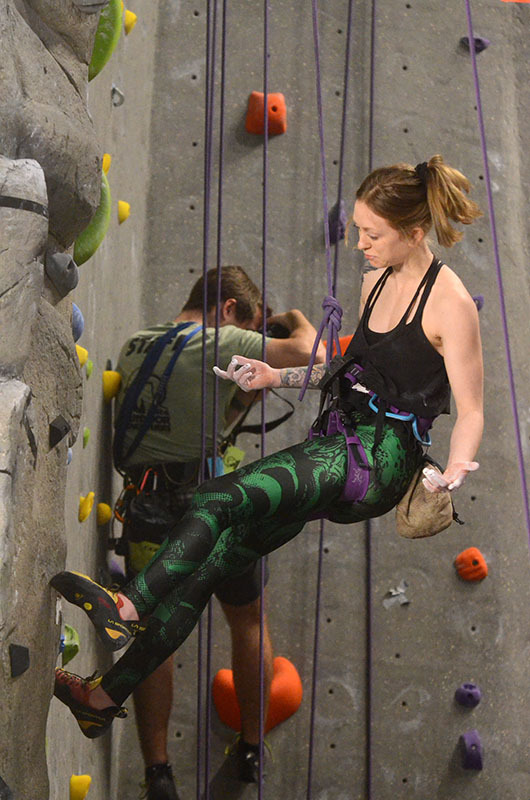 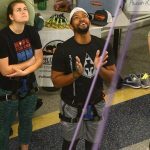 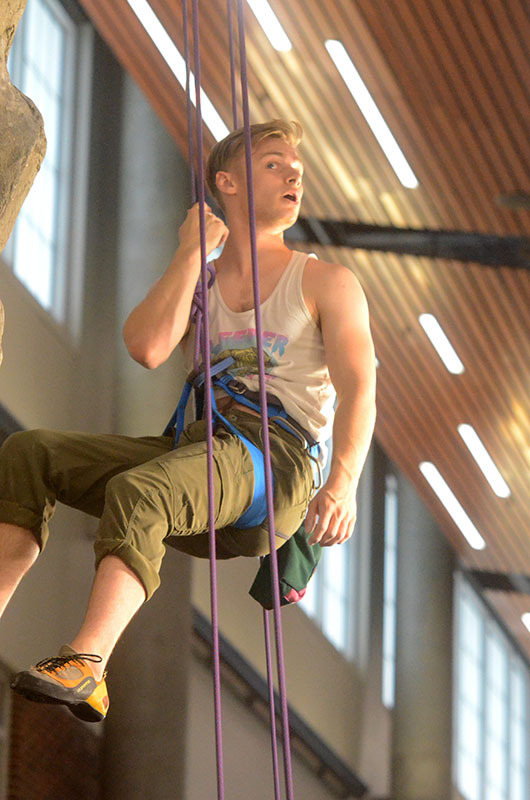 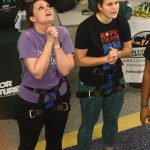 The Kaplan Center was busy last Saturday, as the 20th Annual Spartan Summit Climbing Competition drew climbers of all skill levels to see if they could conquer the facility’s three-story climbing wall. 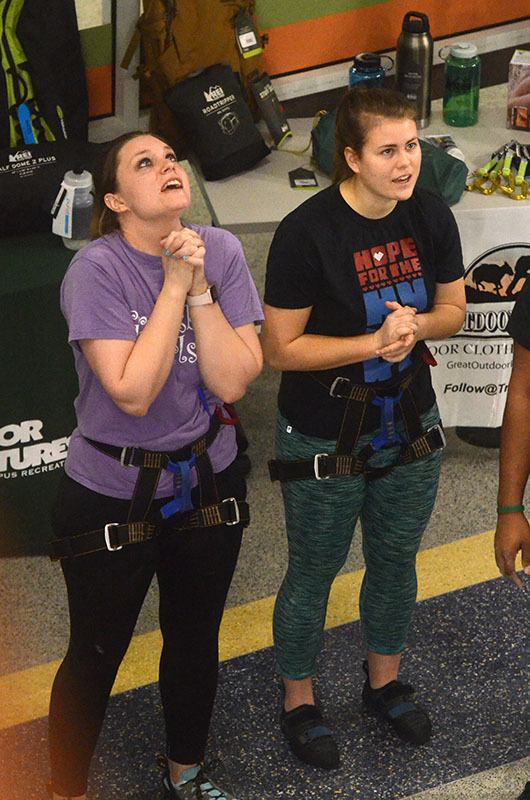 Some were there for the glory, and some were there for… well, more individual reasons. 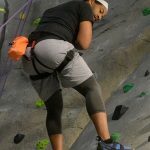 Smart also likes the fitness value of climbing. 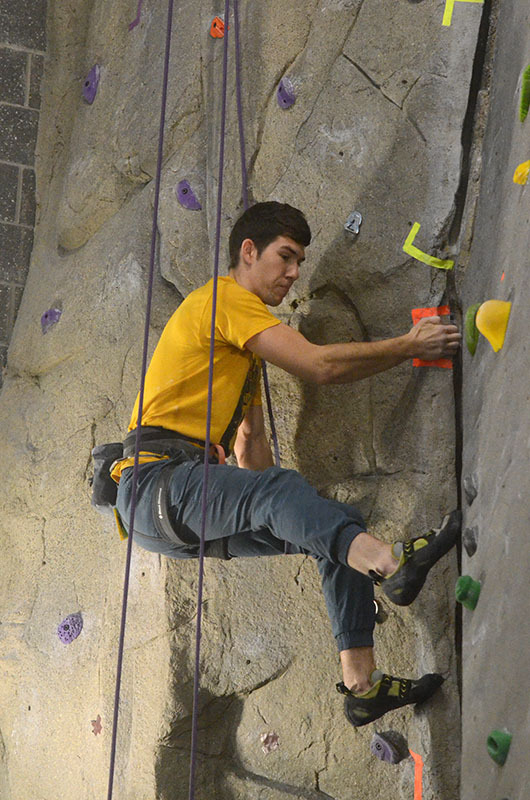 Senior Aaron Denton likened climbing to a game of vertical chess, with the wall as your opponent. 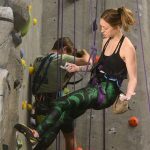 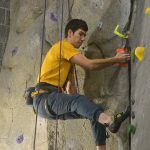 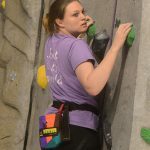 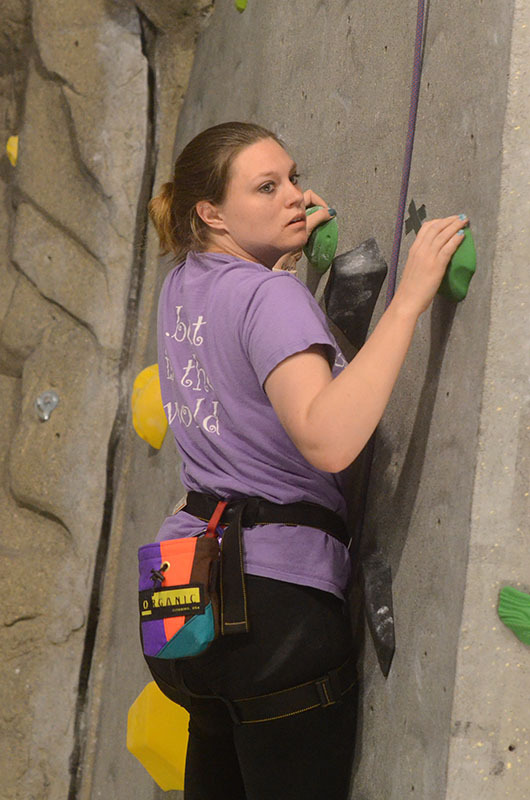 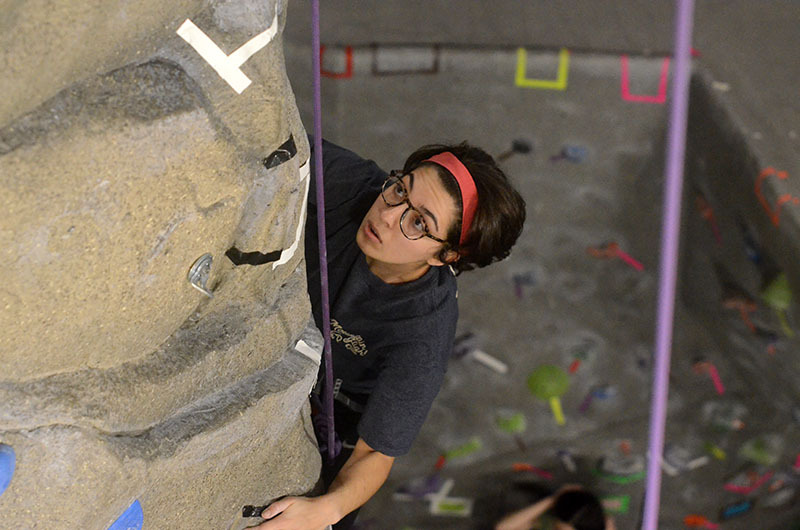 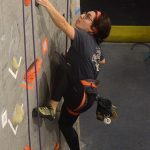 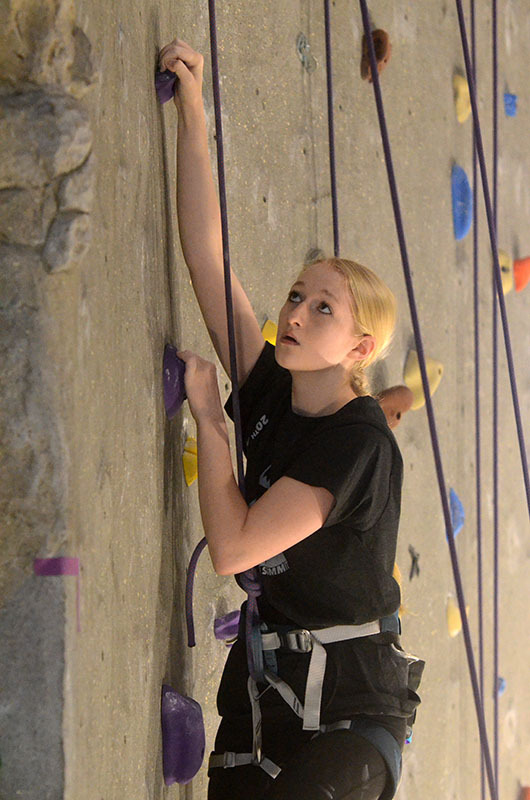 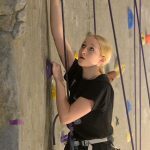 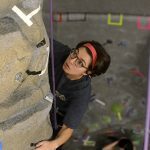 Samantha Gaillard, who works for the Recreation & Wellness Department’s Outdoors Adventures program, says that the climbing wall has become a main attraction in the building. 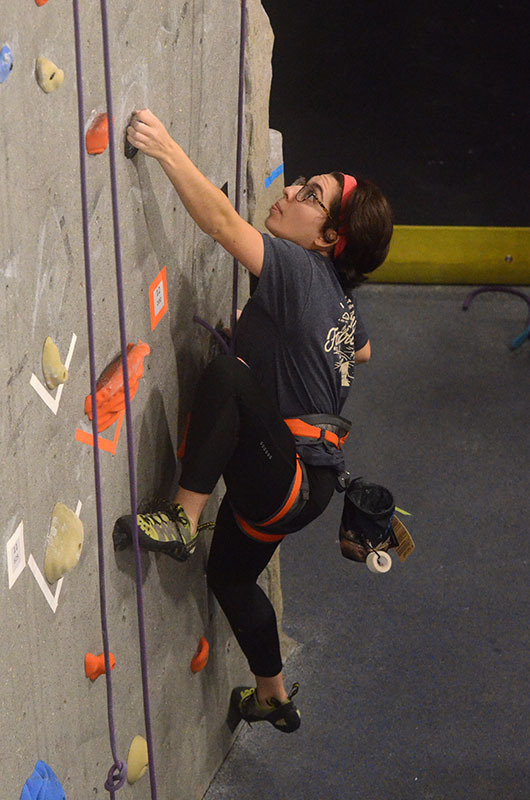 “Every week we get more people coming in (to climb),” she says. 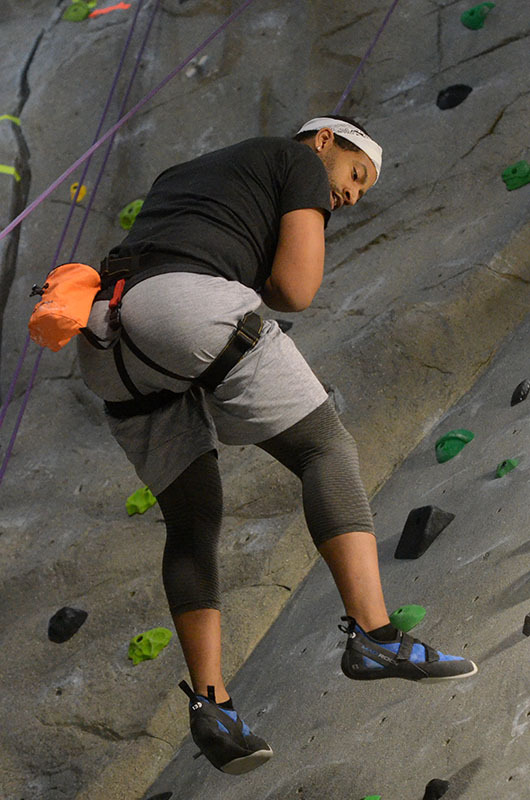 Check out the Climbing Wall section of our website to learn more about our climbing options and read more about the Spartan Summit. 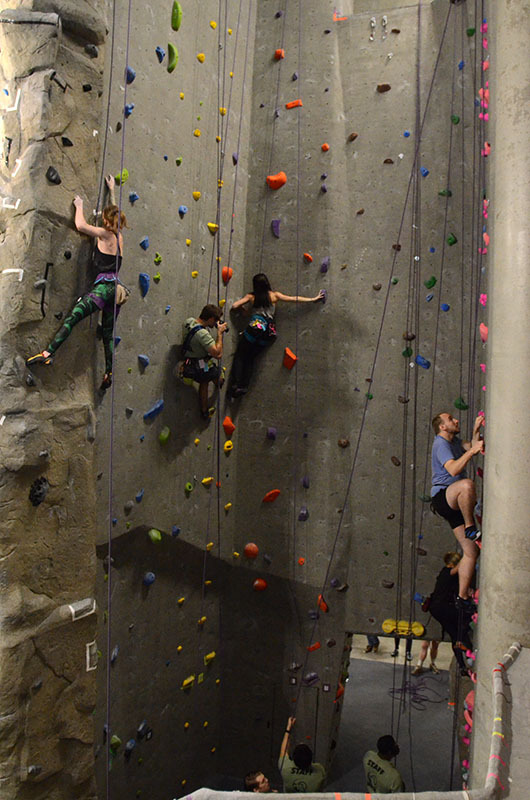 Outdoor Adventures is located on the lower level of the Kaplan Center and is open 7-days a week. 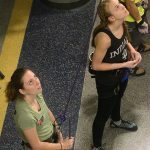 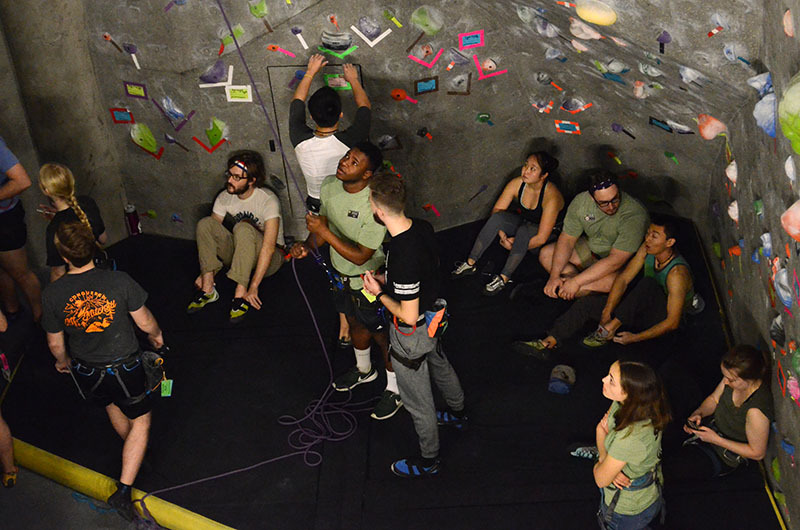 The friendly staff can help climbers of all skill level learn how to climb, or provide guidance on improving their techniques. 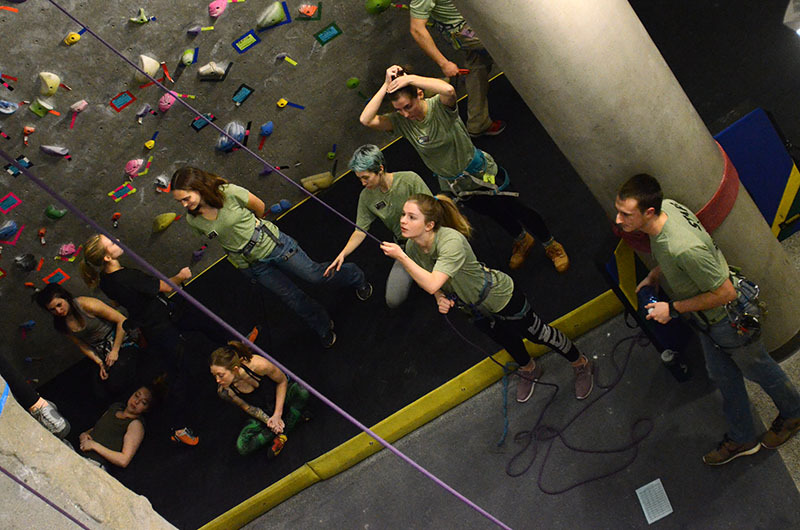 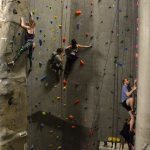 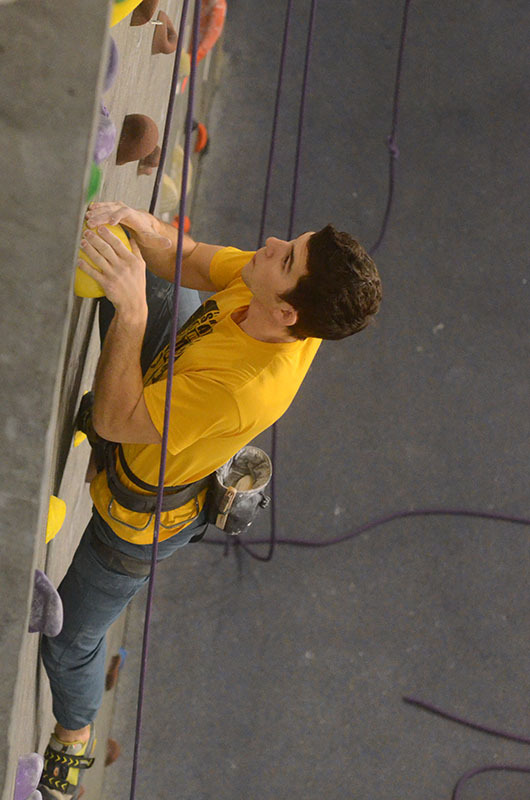 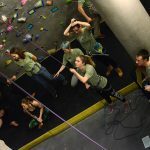 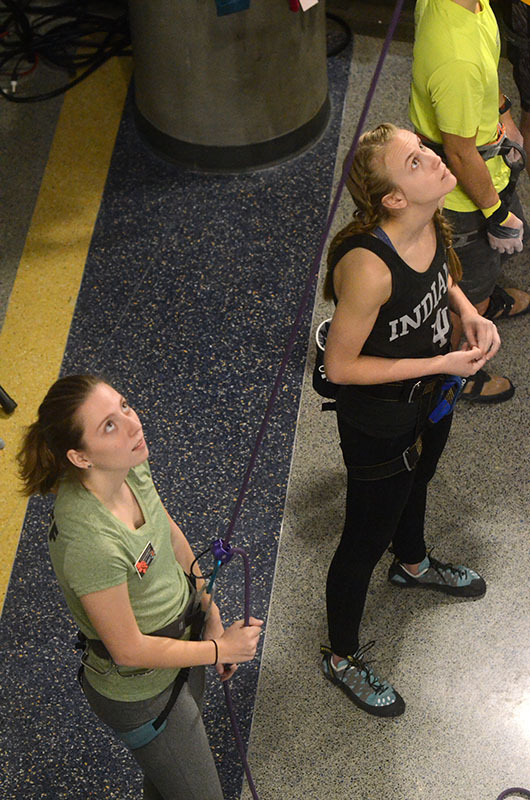 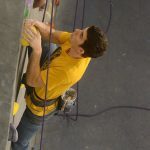 For more dedicated climbers, consider joining theCliffhangers, UNCG’s rock climbing club. 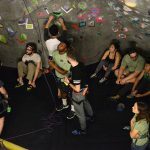 In additionto climbing, OA offers various adventure trips and has a Rental & Resource Center to help you venture out on your own.